It’s officially 2018, and lots of people all over the world are sticking to their new year’s resolutions and are deciding to move abroad. There are so many reasons that you might do this, such as for better job opportunities or simply for an adventure. Regardless of the reasons, this is an incredibly brave decision and is one that definitely shouldn’t be taken lightly. If you are thinking that moving to a new country sounds like a good idea, there are some things that you should consider before making any solid plans. Here are some of the pros and cons of moving abroad that you should think about. When you move to another country, you are going to be constantly learning. To simply survive life you are going to have to know the culture and customs of the natives, as well as their language and history. You are going to continue to learn more and more the more you explore your new home, as there will be classes, museums, books, and people that you won’t have had the opportunity to encounter before, and you will come away from each encounter with a new experience, and therefore new knowledge. If you think of yourself as somewhat of an adventurer, then moving abroad is one of the greatest things that you can do for yourself. After all, if you’ve lived in the same place for many years, you will have likely have seen most, if not all, there is to see near you. When you move abroad, on the other hand, you will see new sights every time you leave your home, and you will have a whole new country to explore. Every country has its own individual cost-of-living, and you may find that it’s cheaper to move to another country and live there. Housing prices differ by country too, and with new houses being built every day and hdb bto launches occurring regularly, you may find it cheaper to purchase a home abroad as well. Of course, the move itself will likely be costly, but once you’re settled, you could save a lot of money. It might be a cool idea to consider investing in some land in a foreign land and build a home with some storage containers. They are very cost effective to build and will save you so much money because they cost about a tenth of what a normal house costs. If you want to learn more check out Daddy’s Hangout. Moving abroad is a great opportunity for personal growth. You will constantly be thrown into new situations, and although they will likely be scary at first, overcoming this fear and standing on your own two feet will help you to grow emotionally. This is especially true if you’ve lived with or near family your entire life, and have always had them to help if you can’t do something or are in trouble. One of the troublesome parts of moving abroad is that you literally know no one, but, of course, this gives you the chance to meet as many new people as you possibly can. You’ll be surprised at just how many new friends you will make, and how it’s felt like you’ve known them forever. You never know, you might even find love. Unfortunately, moving is one of the most stressful things that people put themselves through, and moving abroad is just that much worse. It’s a little more difficult to find housing when you can just drive to visit properties, and you will also have to consider opening a new bank account, getting a visa, and will also have to find work. All of this work is often enough to put people off moving. While it can be exciting to be constantly experiencing new things, this can be incredibly stressful for some people. You often find this exciting when you go on holiday, but knowing that this is how your life is going to be for the foreseeable future can get you feeling emotional. It can be easy to get overwhelmed and start to miss home, but as long as you commit yourself to trying new things, it will get easier, and this shock should only last the first few weeks at most. One of the biggest contributors to culture shock is having trouble communicating with those around you. When you go to another country for a holiday, you can usually get by not knowing the language, as you tend to mainly visit tourist attractions, where they understand that you probably won’t know the language. When you live there, it is a little more difficult. The only way to really get over this is to learn the language and find friends that can speak your language and the native tongue. While I have mentioned that moving abroad can be cheaper, the opposite is also true. Like I said, each country has its own cost-of-living, which means that the country you are moving to might have a higher cost-of-living, so you will have to spend more money on food, bills, and everything else. You need to do your research on the country before moving there, so that you can be sure on just how much you are going to be spending every day. 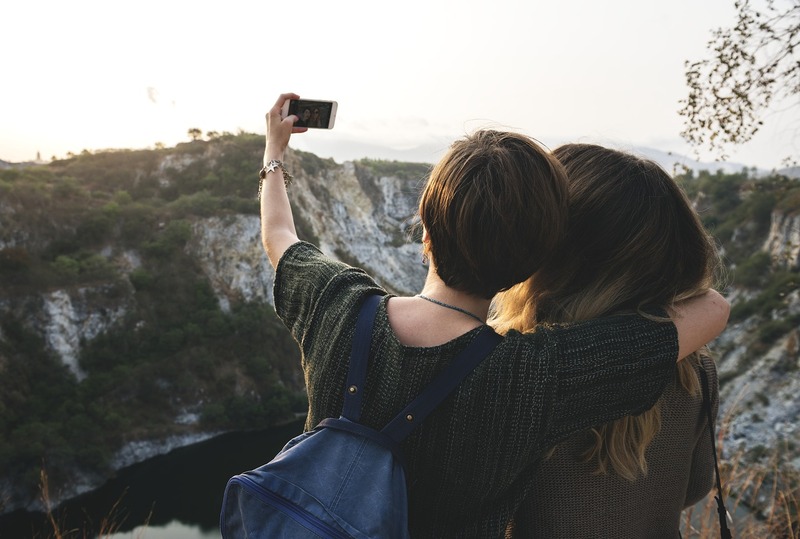 If you are particularly shy or find it difficult to make friends, then moving abroad might be difficult and lonely for you. You won’t have anyone that you know around you every day and will constantly feel like the new kid, which can make you pretty miserable. You also won’t have a constant support system around you in case something goes wrong, and you need help. The only way to combat this is to try to make friends, so speak to your neighbors and introduce yourself to people you meet throughout the day. Moving abroad is never going to be easy, but it’s also never not going to be exciting, so it can difficult to decide whether or not to go. If you’re stuck, weigh up the pros and cons above, as well as any other you can think of. If you think that you can cope with the cons and will enjoy the pros, then you know your answer. Have you thought of moving abroad?